We would all like to make money while we sleep, right? Well, I know that I would and that is exactly what passive income is. My obsession with firing my boss and being able to spend more time with my kids (before they get too old) and after reading many books on the subject, I became obsessed with the idea of being able to make money while I sleep, and the whole idea of passive income. 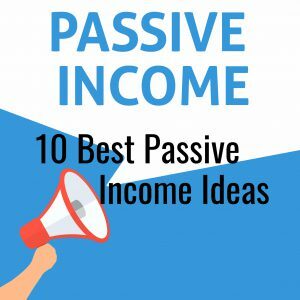 Here is a list of the 10 best passive income ideas, but first let me explain a little bit about what passive income is. As I mentioned, passive income is making money while you sleep. Passive income requires an investment of your time and sometimes money. Depending on what you choose to do, the investment can put a dent in your pockets or just requires a small fee. Passive incomes mean that you can make money without putting in too much effort–after the initial investment of time and sometimes money. Don’t get me wrong, you can’t expect to make money by not doing anything at all–passive. For more information on Passive Income, you can pick up this book at Amazon called, Passive Income: 30 Strategies and Ideas To Start an Online Business and Acquiring Financial Freedom. This book is free on Kindleunlimited or just $13.38 for paperback. 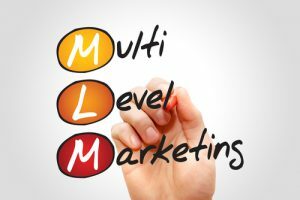 Multi-level marketing or MLM…the dreaded word. Many of us have heard the term MLM and usually the words scam, or scheme are added to the term. I am the first to call out SCAM OR SCHEME when I see them…but let’s change this perception of MLM. From my experience MLM is a brilliant way to make money. So, let’s eliminate the negative perception with MLM. I personally know at least 65 people who is making six figure incomes from MLM. On my quest to fire my boss, I have tried a few MLM. If you think about it, this is a brilliant idea really. Look at Mary Kay, this company offers great products…I love Mary Kay and I love my representative. Pink Cadillac anyone? Yes, I know at least three people who have earned a pink Cadillac from Mary Kay. If you are interested in a home business, MLM is a great option to generate passive income. To give you a general idea of how this works, this business model allows the individual to be compensated, not only for the sales that they generate, but they are also compensated for the sales that anyone they recruit generates. This, of course, creates what’s called a downline of distributors and a hierarchy of multiple levels of compensation. The representative is supposed to sell products directly to consumers by referring or word of mouth, which is why representatives usually starts with family, and friends. What is wrong with this model? Does this sound legit to you? Yes? So why the negative vibes. Perhaps, the negative vibes stem from the sometimes-high initial start-up cost from some companies (not all), the recruitment of other salespeople, instead of actual product sales, hard to understand compensation matrix, and the one that I don’t like, recruitment or exploitation (if you will) of relationships with family and friends. Some reputable companies include: Mary Kay, Avon, Tupperware, and if you are wanting to help people lose weight, while losing or maintaining your weight, Beachbody. I THINK THAT I’VE BEAT THIS TOPIC TO YOU KNOW WHAT…LET’S MOVE ON! 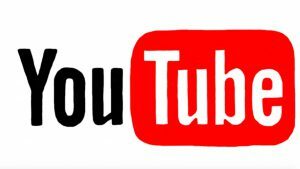 I am not going to spend much time on this one, because everyone who has a phone, tablet, or device have some idea of how they can earn money from a YouTube Channel. Everybody, their mother, and their dog has a YouTube channel. Some are great, some are “what the hell is this”? Well that is just how I feel when I see some of these videos…let me tell you, not everyone with a phone, should create a YouTube Channel…but then again, why not? So, let me ask you this, what do you like, make-up, skin care, soccer, basketball, hair care, fitness? Well why not create a YouTube channel about one of these topics, gain subscribers and you have the potential to make money via ads, etc., My children spends a lot of time watching YouTube; my almost 12 year old likes Monster High and …Roblox (my almost 12 year-old tells me I am spelling “Roadblocks” wrong…ummmm maybe they are spelling it wrong), anyway there are many YouTube channels out to satisfy her, and she subscribes to all these channels, and this is how she knows when a new toy are game that she may want…guess what mommy…me…will buy it. My six-year-old, watches all the YouTube Channels on all the toys that she wants, and she also likes Roblox. My sixteen-year-old son, same thing…see the potential here? To be a successful YouTuber (as my girls call it), you must get views. Some say that getting 1 million views on a video can make a YouTuber approximately $2000. So, grab those phones and video cameras and start shooting and editing those videos. Get paid to get healthy by betting with friends. Social media manager. 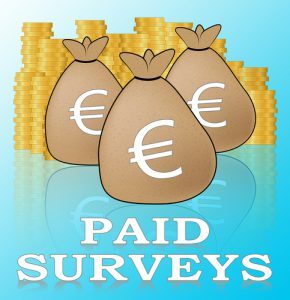 Do you spend a lot of your time on social media, why not get paid for it? 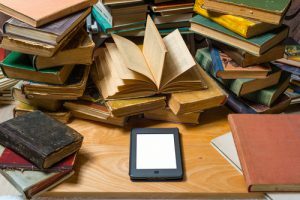 Everyone is writing eBooks nowadays, so why shouldn’t you. Amazon is a great place to start. Pick a topic that you are interested in and just start writing. You can pick a topic in two ways. Conduct research to on Amazon.com to see what the best sellers are. Pick a topic based on your interest, passion, or expertise. Write the book, self-publish, and sell. Do you like to take pictures? Well do you know that you can get paid for taking pictures and selling them as stock photos? You can do this regardless of if you have formal training. Of course, you must be creative. 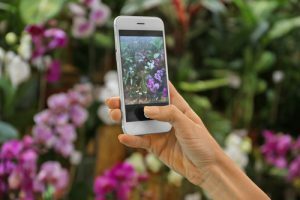 Just look at Deposit Photo or Shutterstock to get some idea of stock photo ideas. These are only some of the many ways that you can earn passive income. Please stay tuned for Part 2, where I will list the next five best passive income ideas. Have you tried any of these passive income ideas? Please let us know in the comments below. Thanks for your comment. Stay tuned for part 2 of this article.